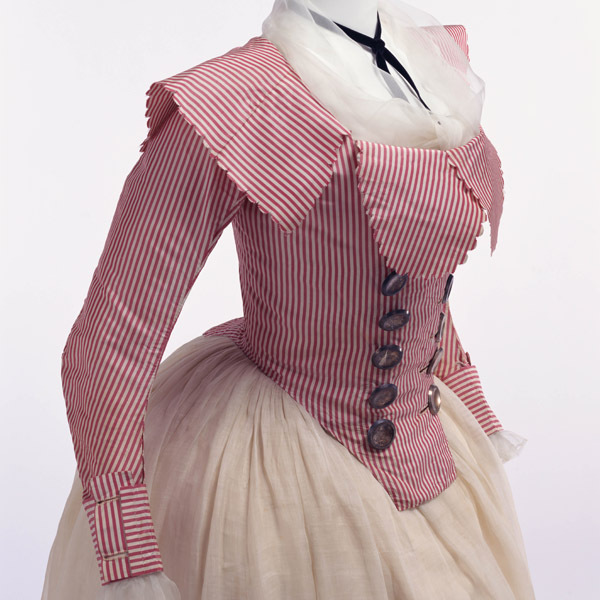 Jacket of red and white striped plain silk with silver-colored buttons; fold-back collar. 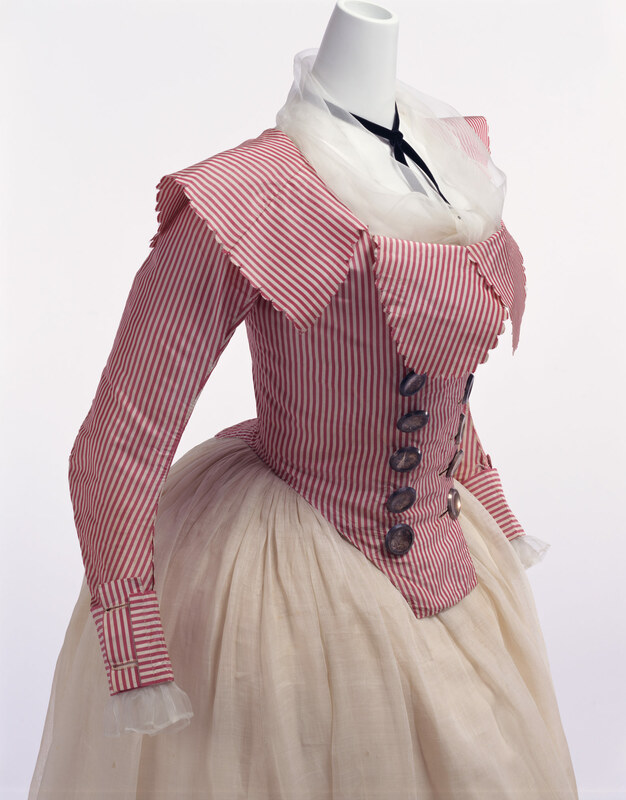 This women's jacket features a distinctive large turned-down collar with scalloped edges. 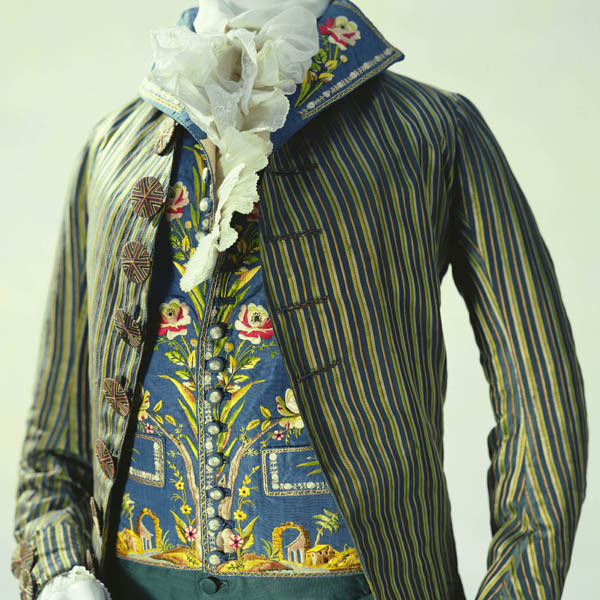 Metallic large buttons placed in two rows provide accent. 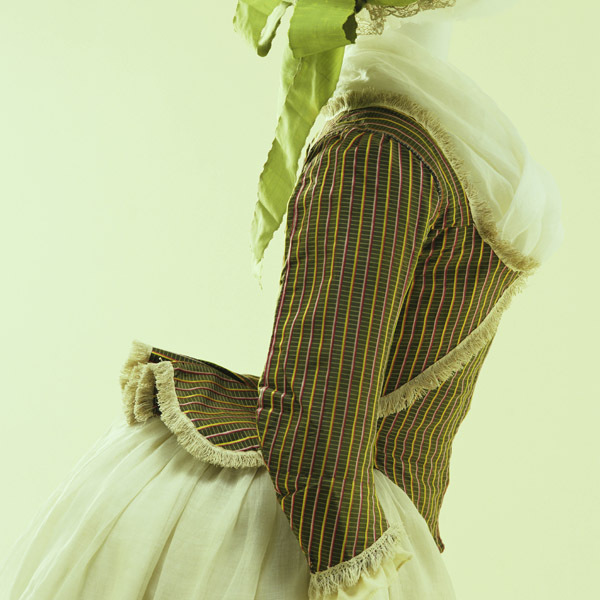 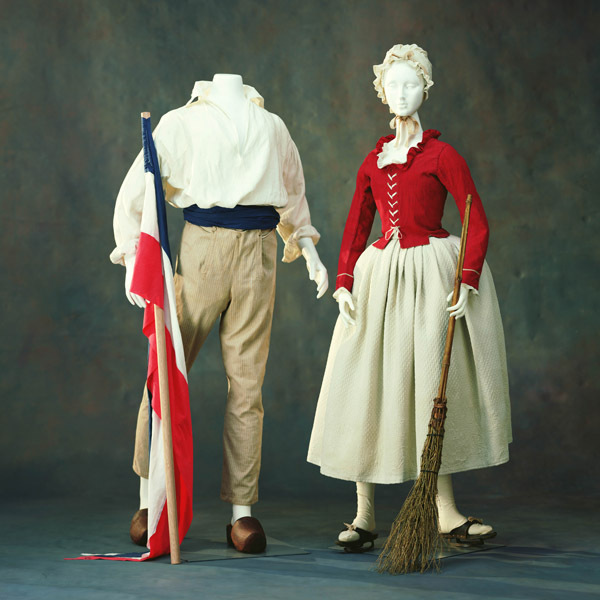 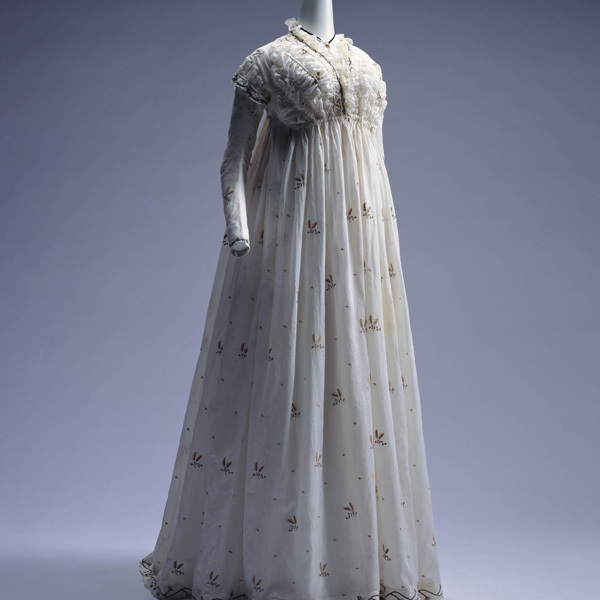 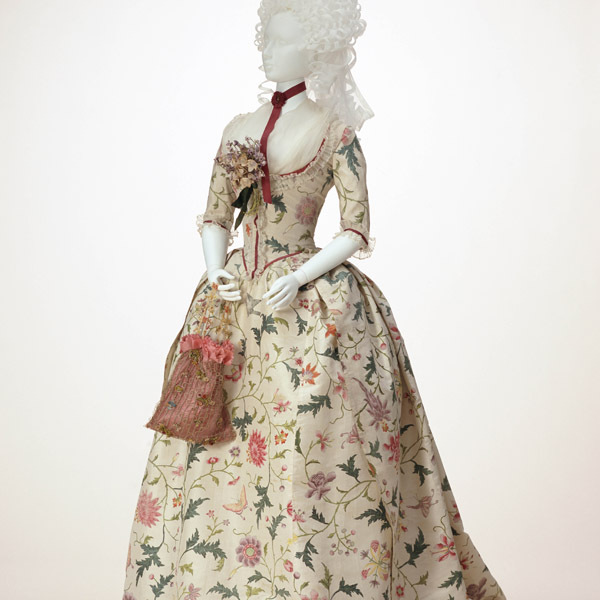 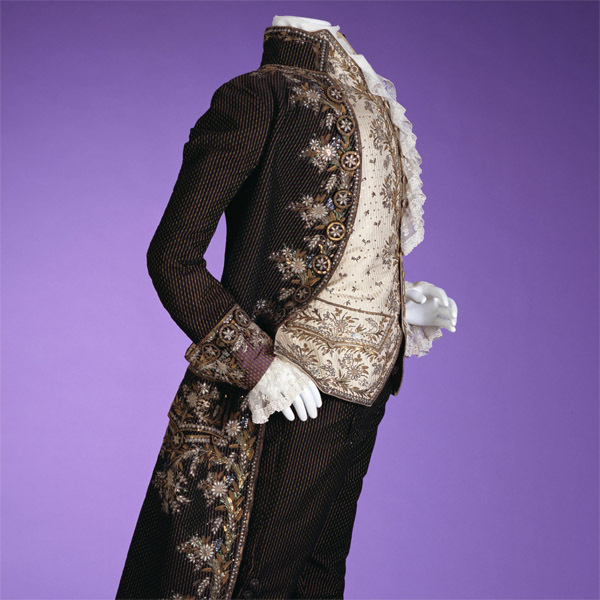 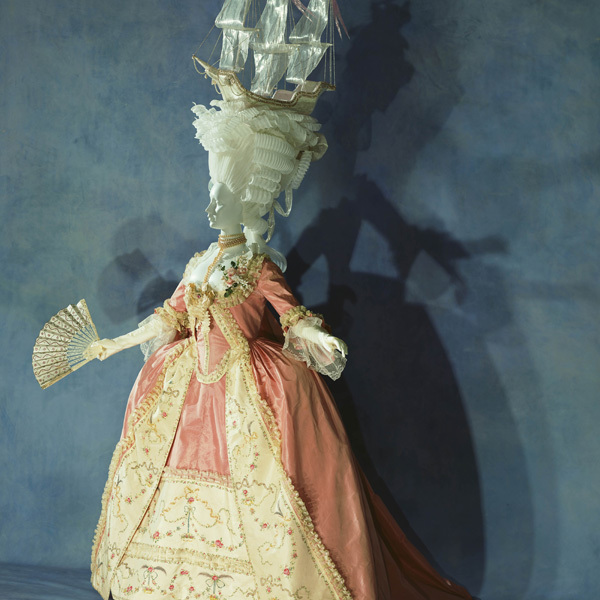 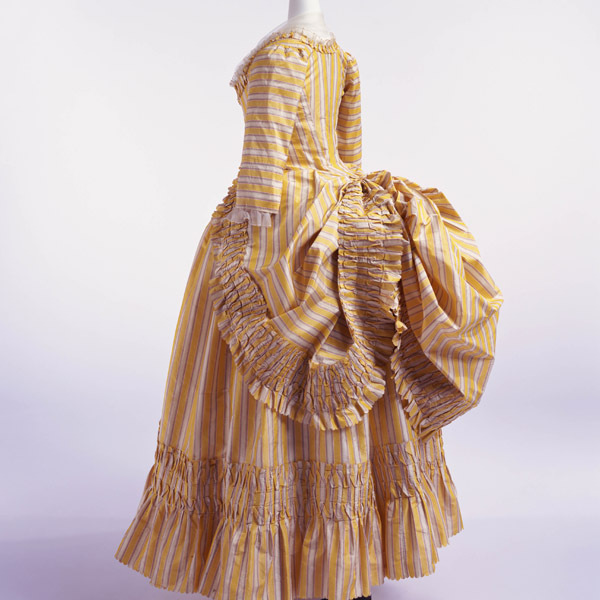 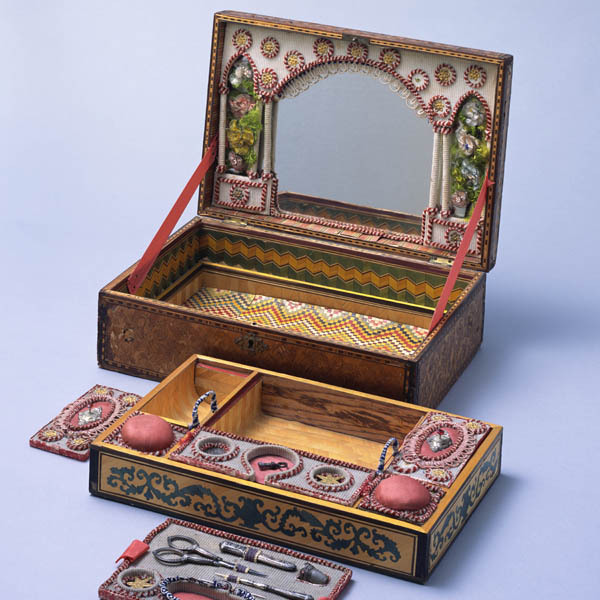 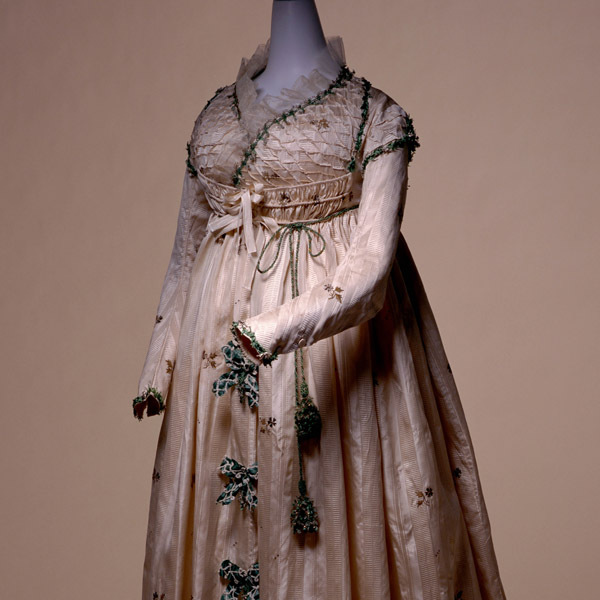 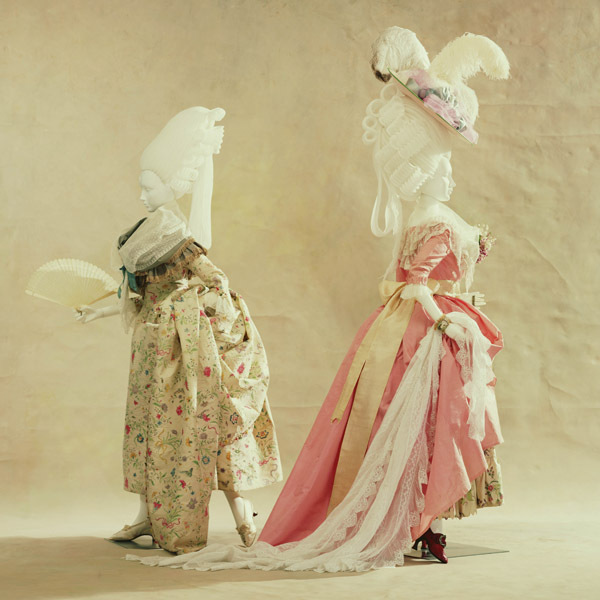 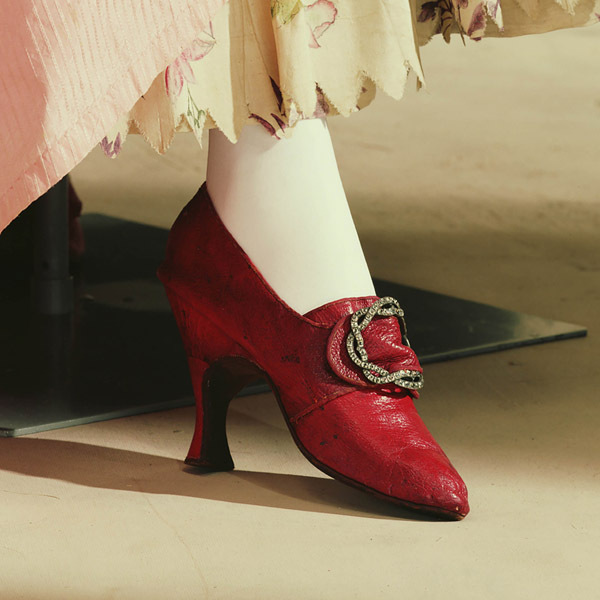 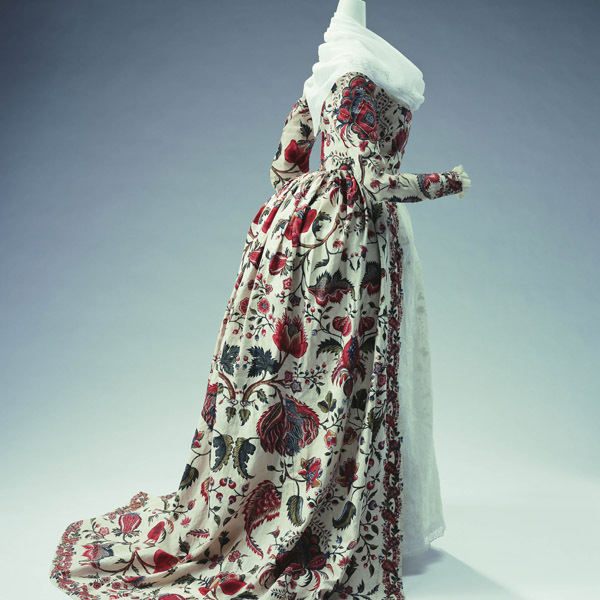 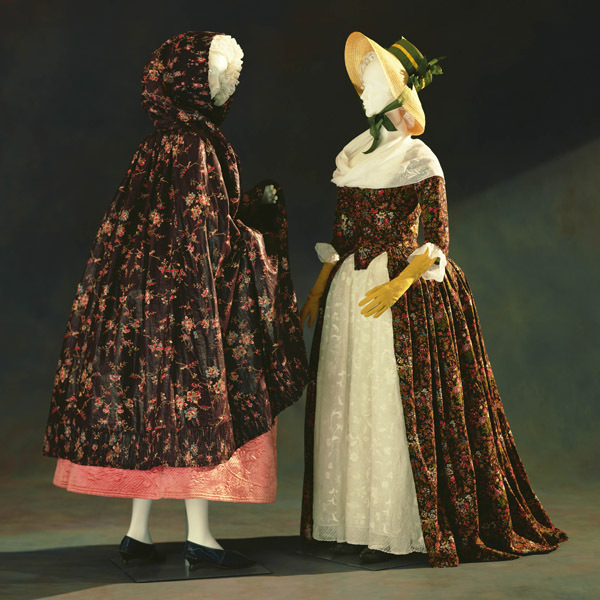 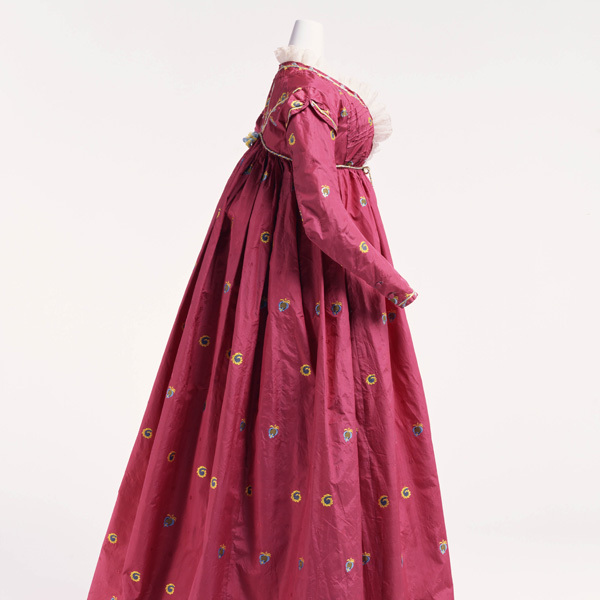 The British lifestyle of enjoying rural life and hunting in natural surroundings also became popular in France, and the clothes became more simplified in and after the 1770s. 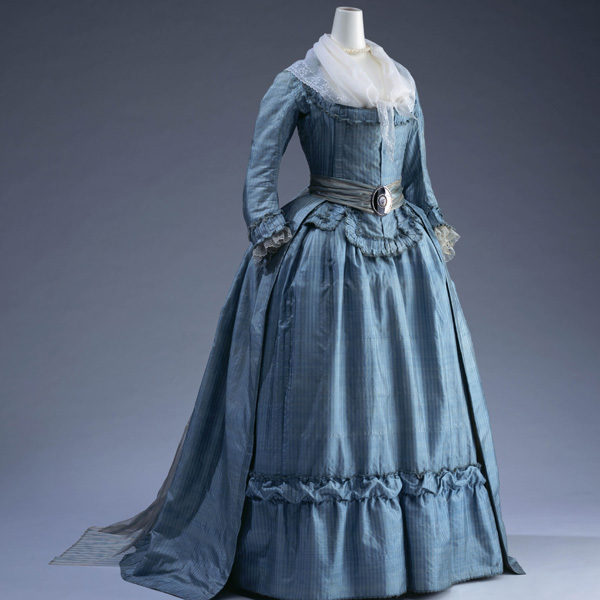 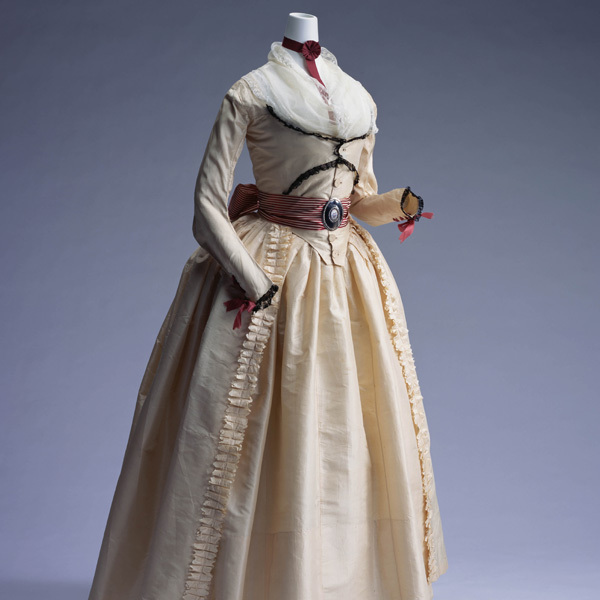 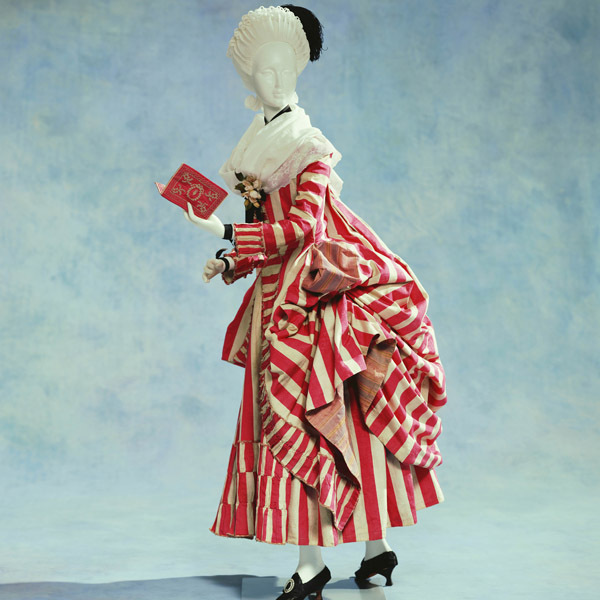 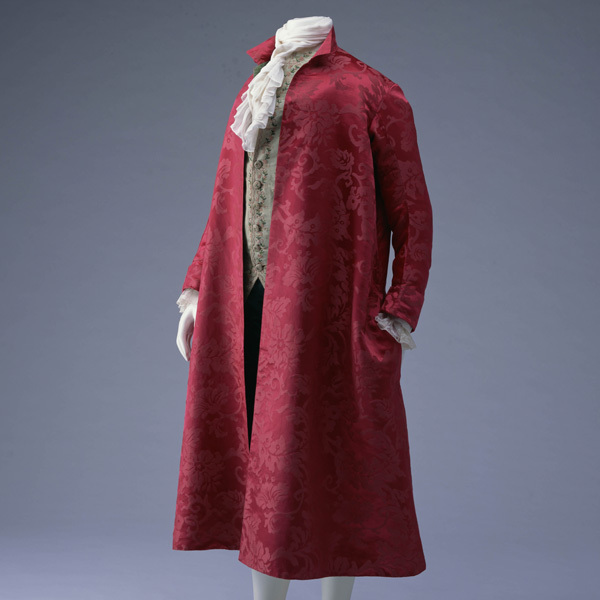 "Redingotes," or riding coat, which had been popular among men for horse riding or traveling, influenced women's clothes, resulting in sophisticated jackets like this.